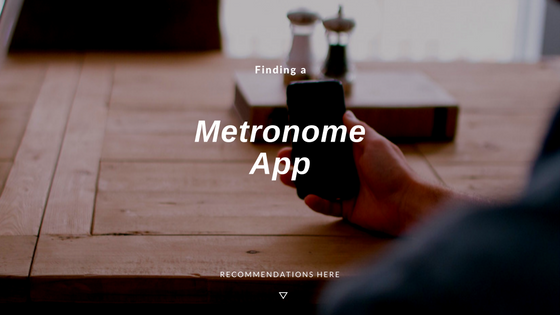 Practice+ Metronome App, 3/4 time signature, set to beep to quarter notes at 108bpm. The sound choices are excellent, ranging from wood blocks, to analog, to shakers! 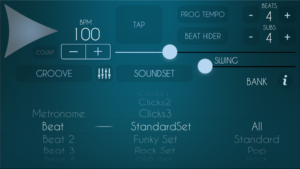 Instead of a clicking or beeping, you get a drum track with plenty of stylistic options to choose from: Standard, Funky, Rock, R&B, etc. Has a speed up tempo automatically option: “Progressive Tempo” is a fantastic tool to practice technique, tempo, or difficult passages. 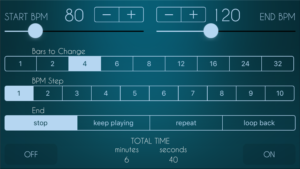 Fast and easy to set, you can play faster or slower times progressively establishing the number of measures for a change and the increase BPM number. 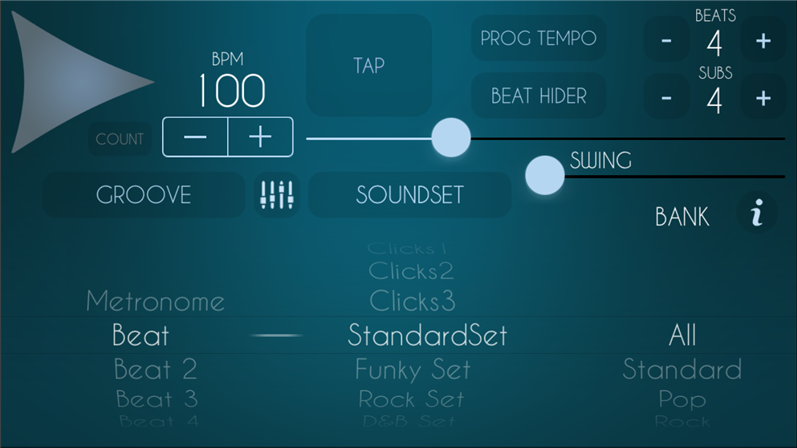 Also you can loop back, repeat the progression from the start BPM or even keep the last tempo to keep playing. 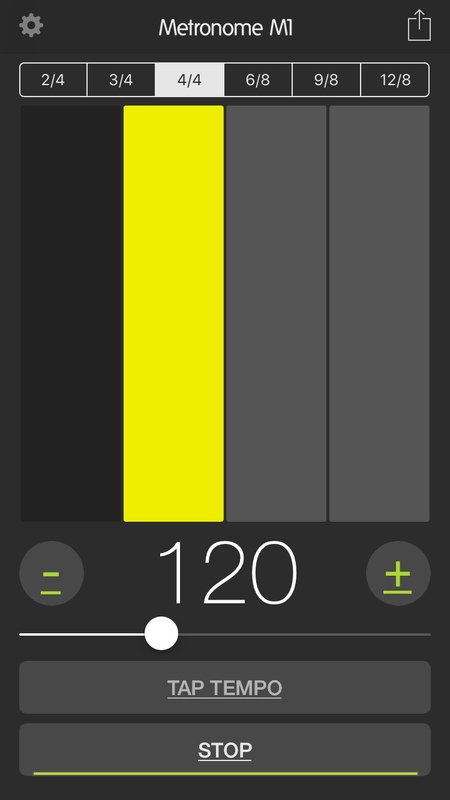 The primary benefit of this app is that it is a visual metronome. You can actually see the beats. It’s a little confusing at first, as both yellow and red flashes across the screen. 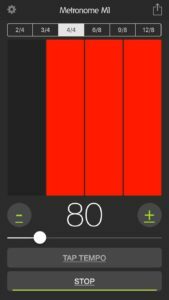 I like to use this app with my youngest students because it helps them see the beats. 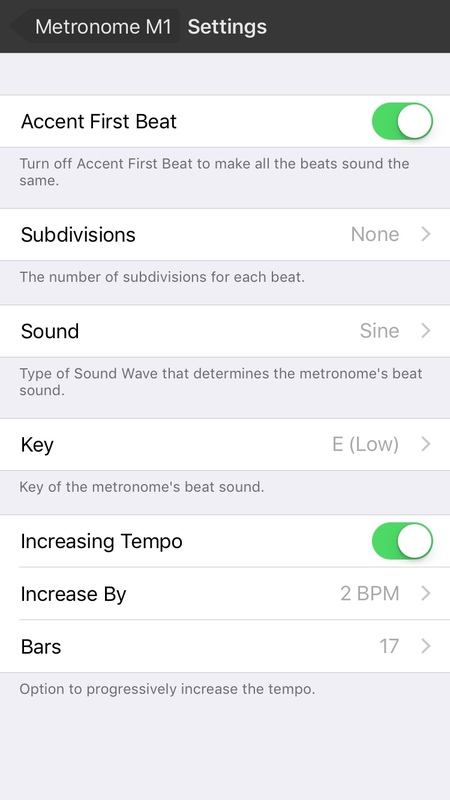 It gets a little too overwhelming when you add more than 6 beats to the measure. Too many flashing lights and changing colors for me. 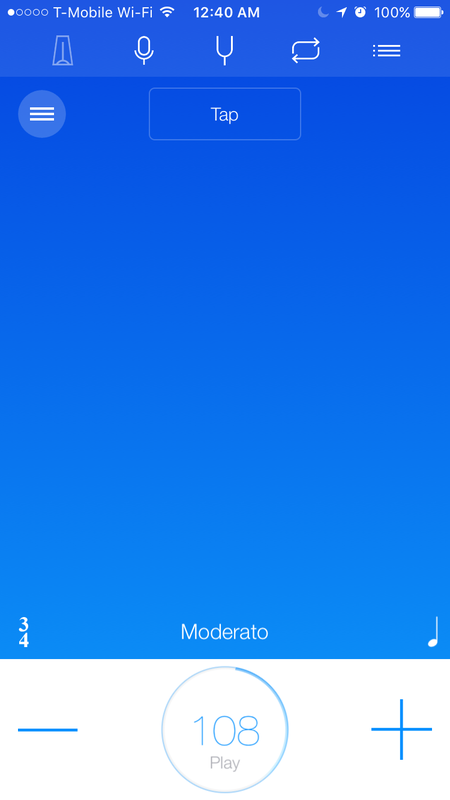 You can change the pitch of the beeping! Great for students with varying degrees of sensory defensiveness. 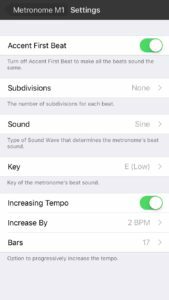 Set to 4 beats per measure at 80bpm. 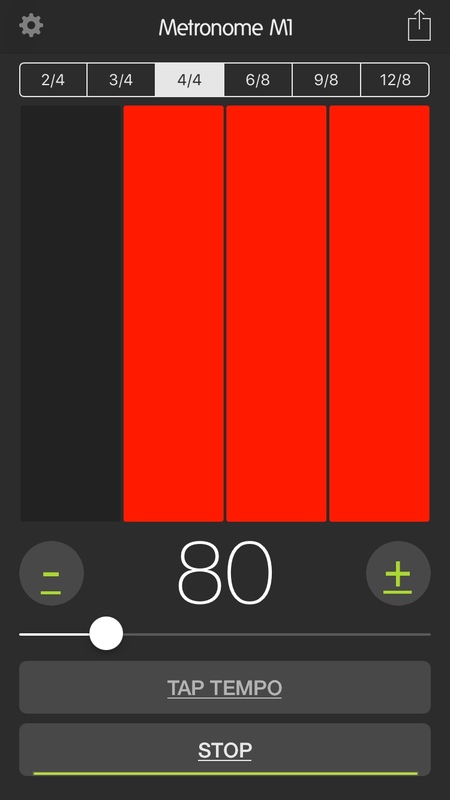 Here is a screenshot of the first half of the second beat in the measure. 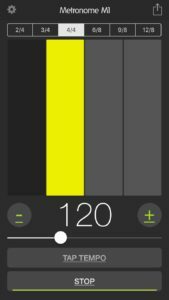 Set to 4 beats per measure at 120bpm. 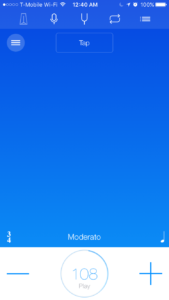 Here is a screenshot of the second half of the second beat in the measure. Fun, creative, engaging, no one-size-fits-all, QUALITY piano lessons. Piano Bench Mag Readers, start here!